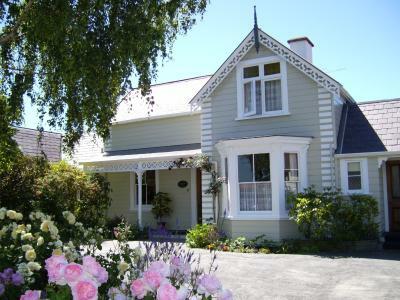 Cambria House offers modern B&B accommodation in a quiet location, only 5 minutes’ walk from Nelson city centre. Guests have access to a large sunny terrace and a garden with BBQ facilities. Set on the banks of the peaceful Maitai River, Sussex House Bed & Breakfast is a restored 1880 Victorian manor, furnished with antiques. Guests enjoy free unlimited WiFi. All rooms offer a flat-screen TV, a hairdryer and ironing facilities. Offering free bike hire, free WiFi and free parking, Annick House Bed and Breakfast is located in Nelson. Complimentary breakfast is included. Just a 10-minute walk from Tahunanui Beach, this bed and breakfast offers free unlimited WiFi and free organic, healthy breakfast with yoghurt and fruits, daily. Gluten free breakfast is available. Featuring free WiFi throughout the property, Peppertree Bed & Breakfast offers accommodation in Nelson. Free private parking is available on site. The spacious suite features a bedroom, sun room and a living room with an extra bed. 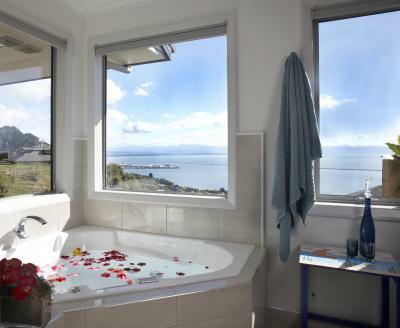 Located in Nelson, Pateke B&B is set amongst spacious gardens and offers free WiFi and free parking. Your carpeted room features a private entrance, a small outdoor area and an en suite bathroom with a shower. Towels and bed linen are provided.